The Dirt Bikes are very unusual bikes due to their impressively aggressive design, knobby tires, and high suspension system. In these days, most of the riders like the 125cc bikes like they used to love the Top Ten 125cc Motorcycles in the World. The 125cc dirt bikes provide impressive riding experience due to their powerful engine and lightweight but robust chassis. 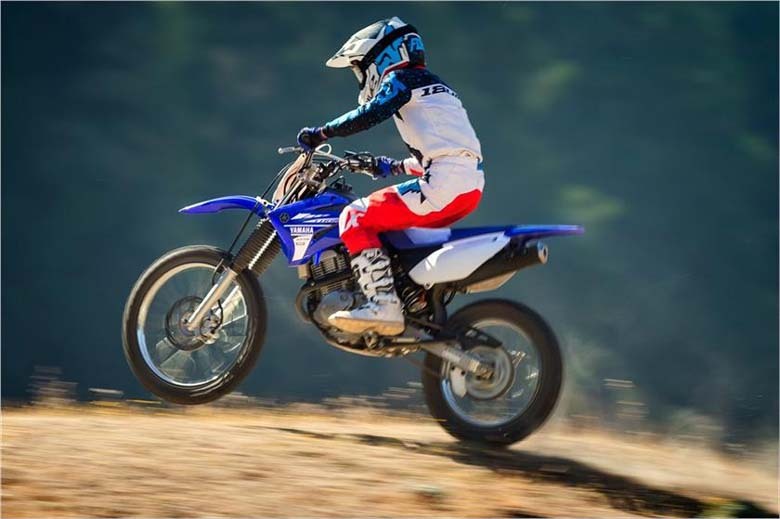 An experienced dirt bike rider can get most out of his bike than any other higher and powerful engine and the plus point is that these engines are somewhat economical than the higher ones. So, if you are looking for the Best 125cc Dirt Bike and wants to enjoy the off-road riding experience than you are in the right place. Because today I am going to explain the Top Ten Best 125cc Dirt Bikes in the World. One can have brief information about these dirt bikes with their prices and some specifications regarding their engine. So, below is the list of Top Ten Best 125cc Dirt Bikes in the World. The Honda brand is very famous for its Dirt Bikes, infect this brand is included in the list of Best Dirt Bike Brands in the World as well. 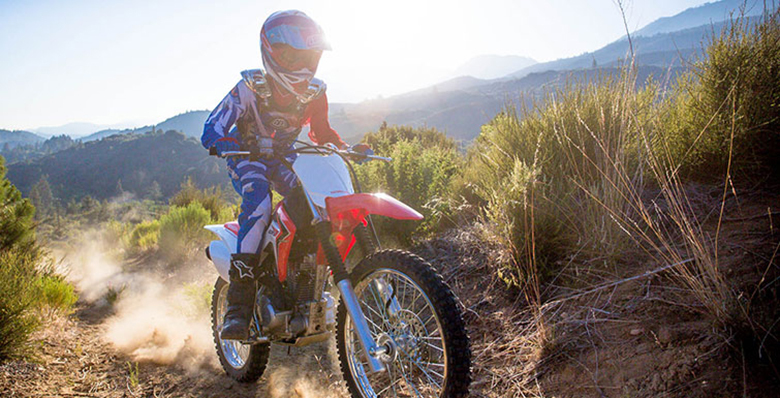 The Honda CRF125F (Big Wheel) is included among the list of Top Ten Best 125cc Dirt Bikes in the World. 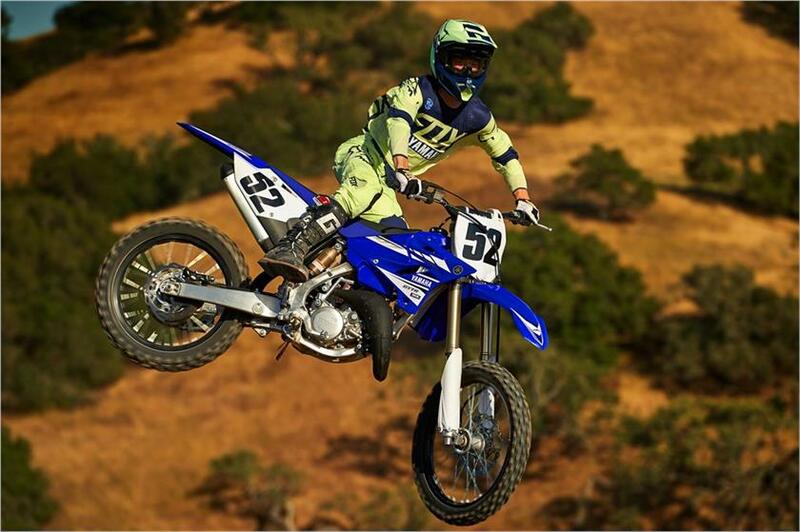 It is considered to be the best dirt bike to start the career, i.e., is best for beginners as well. Moreover, the rider can also adjust its height according to his preferences. It comes with the larger diameter wheels, taller saddle height, and longer swingarm. It comes with the powerful 124.9 cc single-cylinder, air-cooled engine, which consists up of manual four-speed gearbox transmission to offer superb riding experience. The CRF125F always prefer to provide an incredible riding experience of all times. The braking system comprises up of a front disc brake, Pro-link suspension and both a kick-starter and electric ignition. 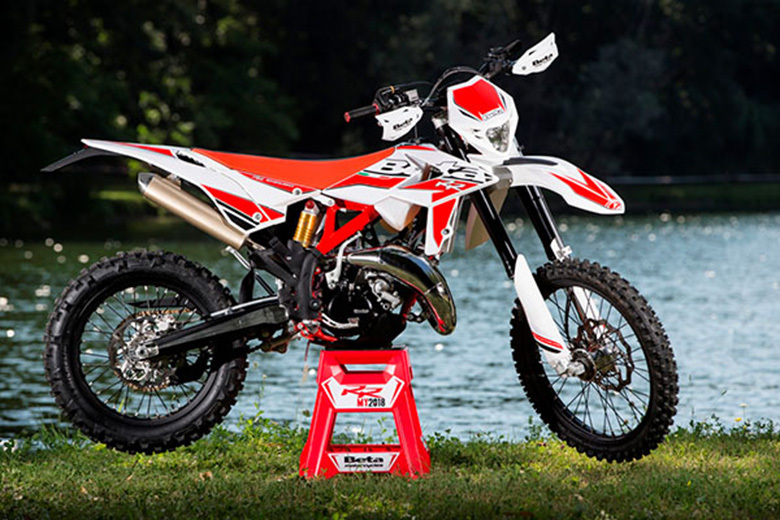 This Honda CRF125F (Big Wheels) is placed on the tenth place among the list of Top Ten Best 125cc Dirt Bikes in the World, and it comes with the price of $3,399. 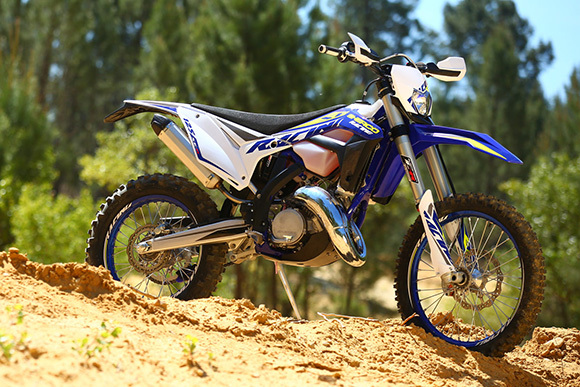 The Yamaha TT-R125LE is another awesome 125cc dirt bike that offers incredible riding experience. This model is considered to be best for both young and experienced riders. It is powered by the torquey 124cc air-cooled single cylinder engine that provides outstanding power across the entire range. It comprises up of the five-speed gearbox that gives incredible gear shifting experience. The Yamaha TT-R125LE features an automatic cam chain tensioner with an easy across, tool-free air-filter that helps in outstanding maintenance to the bare minimum. This dirt bike is equipped with the lightweight exhaust system which is environment-friendly. It comes with the price of $3,299 only. The Beta RR 125 2T is another incredible motorcycle that comes on the eighth position among the list of Top Ten Best 125cc Dirt Bikes in the World. It is said to be best for beginners. It is powered with the 2-stroke liquid-cooled, a single cylinder containing the top-notch aluminum and die-cast part that comes with the six-speed manual gearbox. The Beta RR 125 2T is indeed the best dirt bike featuring an ultimate technology. The Beta brand has focused on them, but the quality frame from chrome molybdenum with double cradle split giving fantastic geometry and excellent weight distribution. This dirt motorcycle is equipped with the Sachs suspension with an impressively in-house built exhaust system. Next, on position seventh among the list of Top Ten Best 125cc Dirt Bikes in the World, we have Kawasaki KLX110. Well, it’s not a 125cc, but unfortunately, the Kawasaki brand has stopped manufacturing the 125cc dirt bikes for the time being. I think, it would be unfair if we do not include this impressive dirt bike on our list plus the difference between the 110cc and 125cc is not too big. 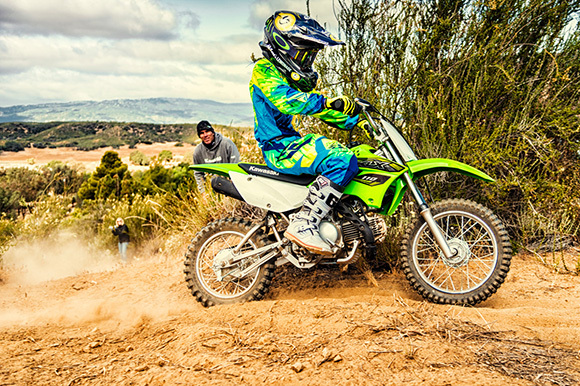 The Kawasaki KLX110 is an ideal beginner dirt bike that provides lower saddle height with little less power. The engine specifications are 112cc air-cooled, 4-stroke unit that gives smooth power reliability. It features an automatic clutch that allows for a natural no-stall shift through 4 gears without even using the grip. The Kawasaki KLX110 is available in green color with the price of $2,299 only. The Suzuki brand is another fantastic and largest bike manufacturer in the world. 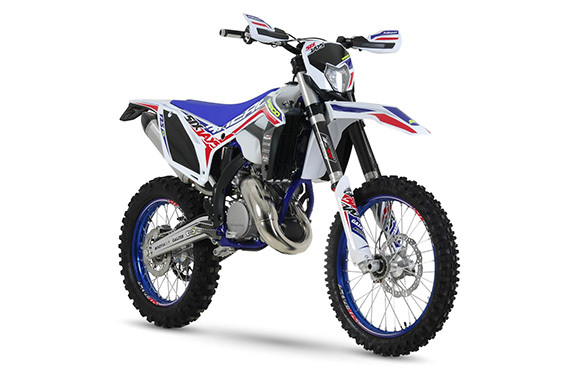 It is considered to the best among the race of dirt bike manufacturing as well. 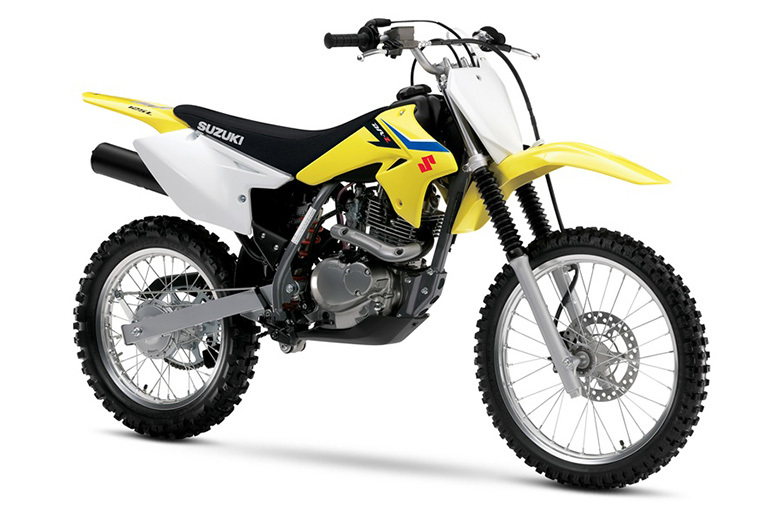 Its most famous Suzuki DR-Z125L gives it the position of sixth among the list of Top Ten Best 125cc Dirt Bikes in the World. It is powered by the 124cc single-cylinder motor that offers excellent speed and power primarily through the low and mid-range and features the 5-speed manual transmission. It contains the large diameter wheels, front disc brakes, and the new telescopic forks. The saddle height is kept at 32 inches with an overall wet weight of 196 pounds; the DR-Z125L is an outstanding choice of smart riders. It is equipped with the kick-start only, which makes it an ideal for the beginners. This dirt bike comes with the price of $3,249 alone. There is another impressive Yamaha YZ125 that comes next in the list of Top Ten Best 125cc Dirt Bikes in the World. It is very famous since it was first launched in 1970 and it is considered to be best for both beginners and experts. It is powered with the 125cc liquid-cooled, 2-stroke single-cylinder engine that contains the quality suspension from KYB. The Nissin brakes comprise wave rotors, Pro Tapers fat bars, Dunlop Geomax MX52 tires and Excel rims gives an impressive performance. The handling of this off-road bike is impressive due to the use of remarkable handlebars. This Yamaha YZ125 comes with the price of $6,499 only. Yeah, it’s little expensive but it worth it. Next, in the fourth position in the list of Top Ten Best 125cc Dirt Bikes in the World, we have Sherco 125 SE. The Sherco is one of those brands that produce an incredible masterpiece, but they are often get ignored due to several reasons. The Sherco 125 SE makes this brand to be placed in the fourth position due to its impressive performance and quality chassis. Usually, Sherco manufactures the 250cc and higher engines, but when it launched the 125cc engine, it shocked the world. This incredible small 2-stroke engine is compact and powerful, which is designed to provide the best performance. It comes with two different and selectable engine maps that alter the power output, which makes this dirt bike one of the most advanced off-road machines on our list. It features the Brembo brakes, WP Xplorer front forks, powerful ignition system Selle Dalla Valle gripper seat covers, lightweight exhaust and much more. The Sherco 125 SE Six Days is another impressive bike by Sherco. It is one of the most beautiful bike due to excellent graphics and lightweight chassis. The overall engine specifications are more or less same with the Sherco 125 SE Six Days, but it is engineered for more real-life use. It comes with the addition of some differences like solid rear disc brakes, WP Xplorer front fork with the spring preload adjustment, new rims and handlebars, upgraded silencers and much more. All of the features as mentioned above make the Sherco 125 SE Six Days to be placed in the third position among the list of Top Ten Best 125cc Dirt Bikes in the World. The Husqvarna TC 125 is another excellent off-road bike that is most used by professionals only. But it is said that it is suitable for both beginners and experienced riders because of its high performing engine and unique ergonomics. It features the powerful 125cc single-cylinder 2-stroke engine that delivers better power and performance. It consists up of suitable gearbox via the sophisticated Magura hydraulic clutch. The Husqvarna TC 125 features the lightweight chrome molybdenum frame which features fully adjustable inverted WP AER 48 front forks with single rear shock. The braking system consists up of Brembo units at the front and back. This dirt bike comes with the price of $6,999 only. 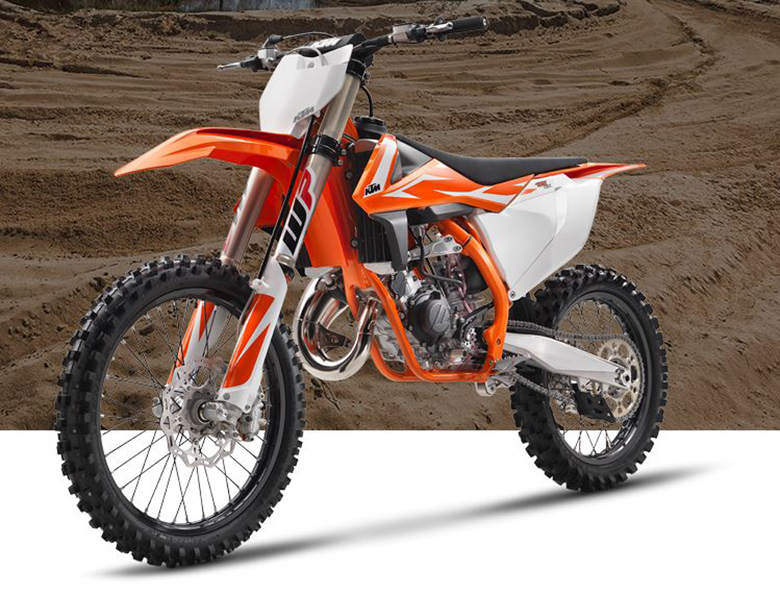 KTM brand is said to be the best among Dirt Bike manufacturer due to its impressively quality bikes. The KTM 125 SX is placed on the first position among the list of Top Ten Best 125cc Dirt Bikes in the World. It features the slightly longer wheelbase, larger fuel tank, Brembo hydraulic for an outstanding performance. 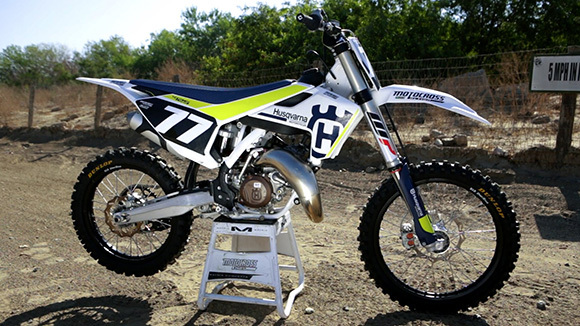 This 125 cc bike not only looks good due to its attractive graphics but provides incredible riding experience as well. One will fall in love with it if he even has a chance to ride this dirt bike. It comes with the price tag of $6,899 only. This article is about the Top Ten Best 125cc Dirt Bikes in the World, and it is covered under Bikes Catalog. The above mentioned off-road bikes are considered to the best among 125cc dirt machines due to their impressive design, powerful engine and price tags. So, it is requested to the riders that they should keep the list as mentioned above in mind when going to purchase the 125cc dirt bike.